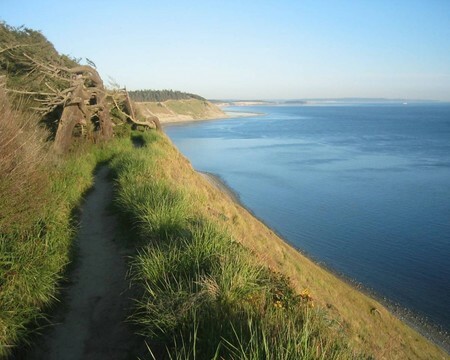 Fort Ebey State Park is located approximately 4 miles North of downtown Coupeville off of Libby road. West facing views of the Straits of Juan de Fuca make this the perfect camping spot. Book reservations early.